Change your dramatic play into a Grocery Store and embed math and literacy learning opportunities into their play! 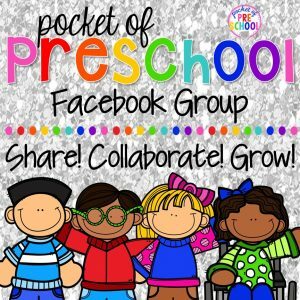 Grocery Store is one your students are sure to love and learn a ton from! I also do a Food and Nutrition theme in my classroom when we have a Grocery Store so we can take the food and nutrition theme all over the classroom! On the back wall, I cut out the fronts off some of the food boxes to add environmental print to the walls! The produce section is in the middle. We have a scale and bags so students can weigh and count their produce is (and look I’m sneaking in math right there already). My students helped me make the fruits and veggies with pipe cleaners and pom poms! The lettuce is just cut up paper. Oh and add tweezers so you can add in fine motor too. The pantry section is sorted (yes more math) into boxes, jars, and bottles! And this is the refrigerator section and the freezer section is in the play refrigerator to the right of this shelf (not in the photo, sorry). The checkout stand is quite possibly everyone’s favorite part of the grocery store. The candy section is in the front (and sorted by color, yes more math). Don’t worry the mini bags of candy are empty. The wood blocks are walkie talkies so the grocery store workers can talk to each other! Hello literacy! 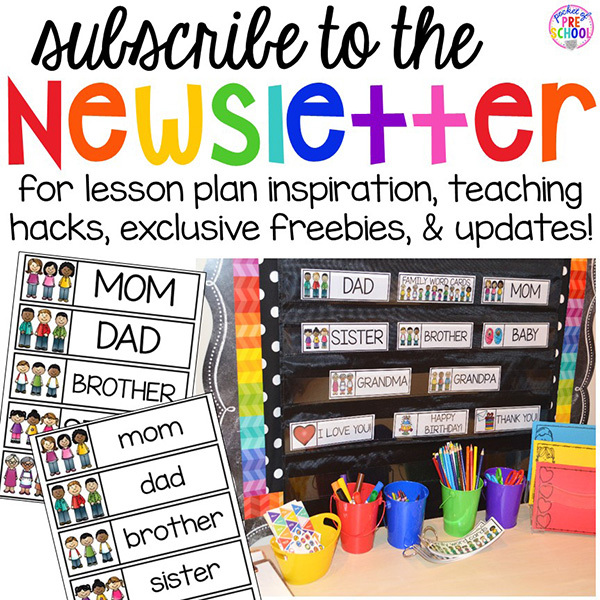 Add shopping lists and store adds to get your students writing and reading during play. Check out these shopping lists my little learners made! And I put them right in their portfolios for a writing sample. Once the shopper writes a shopping list, it’s time to shop! And just look at all the environmental print and letters they will be reading as they shop. The cashier rings and places all teh groceries in a bag. Now it’s time to pay so the shopper counts out the money and hands it to the cashier. The cashier writes a receipt and hands it to the shopper. I put a number line next to the cash register to support my little learners write numbers. Sometimes the cashier has nothing to do so why not count the inventory! They walk around the grocery store counting items and writing the total. Students can write numbers or make tally marks on the inventory sheet. More writing! Have the cashier or clerk draw and write the specials on the specials board! I try to have many writing opportunities for each role. Want all the Grocery Store printables? 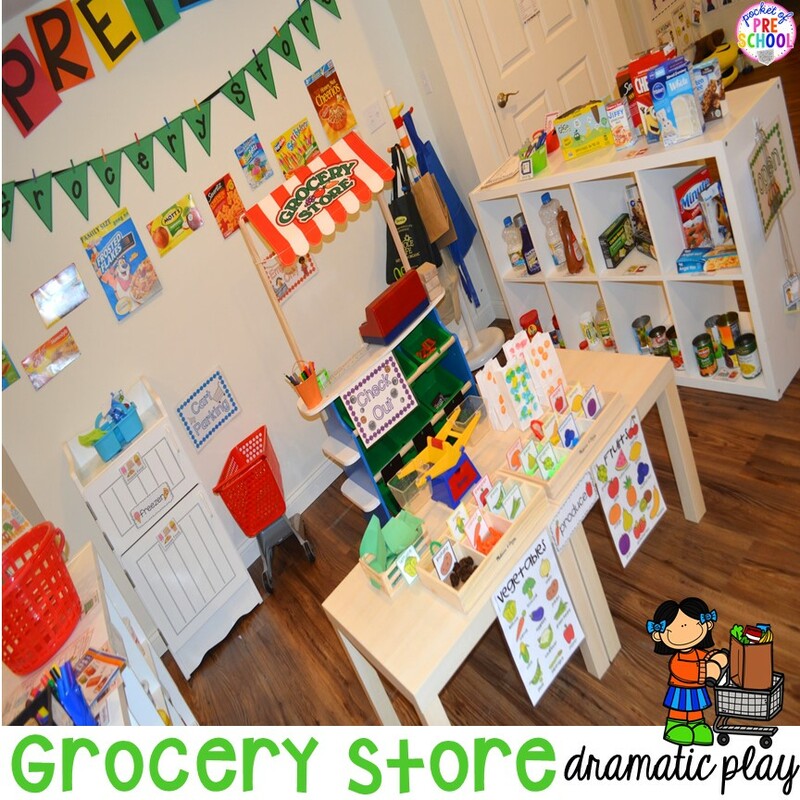 Everything you need to create a grocery store in your dramatic play center is included in Grocery Store Dramatic Play (labels, signs, shopping lists, sale signs, price tags, teacher pages with real classroom photographs, and MORE! There is even a parent note you can copy and send home! Take the food theme all over your classroom with Food Math and Literacy Centers!